You’ll achieve a look of full glitz and glam in this printed high low dress. 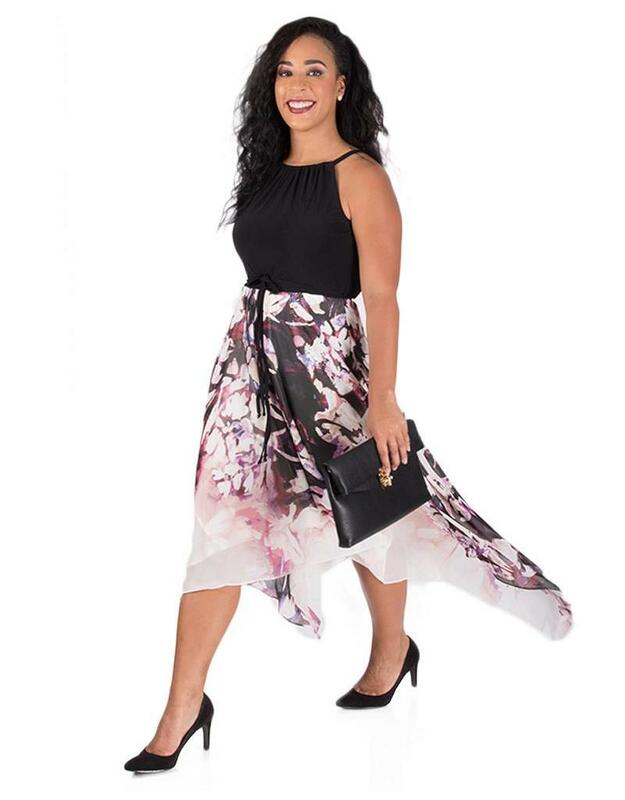 Created with a solid colored bodice, halter like the neckline, thin solid color belt at the waist – the dress gracefully flows into a high low skirt for a lush look. Pair with accessories from our collection to complete your look.